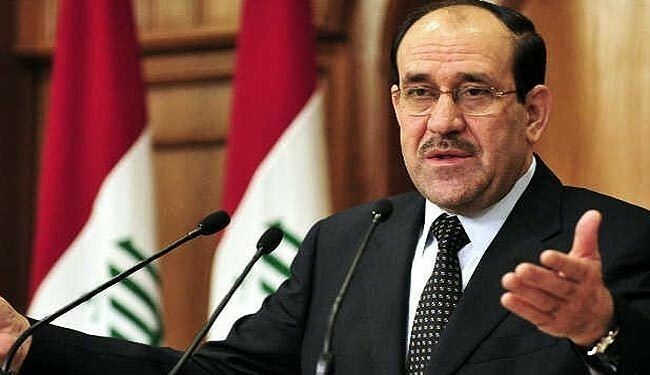 JNN 05 Aug 2014 Baghdad : Iraq’s Prime Minister Nuri al-Maliki ordered his air force for the first time to back Kurdish forces against Islamic State terrorists after the rebels made another dramatic push through the north, state television reported on Monday. “The general commander of the armed forces has ordered the air force command to provide backup for the Kurdish Peshmerga forces against the terrorist gangs of the Islamic State,” state television quoted Maliki’s military spokesman Qassim Atta as saying, according to Reuters. Kurdish Peshmerga fighters, who cut their teeth fighting Saddam Hussein’s troops, were regarded as one of the few forces capable of standing up to the terrorists who faced almost no opposition from Maliki’s U.S.-trained army during their lightning advance through the north in June. State television and witnesses said that the Islamic State had seized Iraq’s biggest dam. Kurdish peshmerga officials said they have pushed militants from the dam area and were in control of it. This could not be immediately confirmed. Maliki seems to have put aside his hostility with the Kurds to try to prevent the Islamic State, which has threatened to march on Baghdad, from making further gains. Meanwhile, the Kingdom of Saudi Arabia is said to have sent a strongly worded letter to the United States categorically refusing the return of Maliki for a third term as Iraq’s prime minister. According a source, Saudi Foreign Minister Saud Al-Faisal sent the letter to his U.S. counterpart John Kerry during their last meeting in Paris to discuss the Iraqi issue. The meeting was attended by UAE Foreign Minister Abdullah Bin Zayed and his Jordanian counterpart Nasser Judeh. In the letter, Prince Al-Faisal told Kerry that Saudi Arabia categorically refuses the return or the survival of or the return of Al-Maliki’s rule in Iraq. According to the source, the Saudi minister was the only person to comment during the meeting while his companions the foreign ministers of the UAE and Jordan did not remark on the issue. This entry was posted in Iraq News, Middle East and tagged Iraqi air force, Iraqi Oil Field, Iraqi Prime Minister, Islamic State, Kurd forces, Nouri al-Maliki, Peshmerga, Prime Minister Nuri al-Maliki, state television. Bookmark the permalink. if this is not interference in a soverign country , what is and does this not prove the wahabi regimes hand behind the terrorist in Iraq and other middle eastern countries , with USA blessing.